Wu-Tang’s connection with skateboarding needs no explanation. Their music, clothing style, and imagery have been prevalent in our culture since their first album was released in 1993. And the instrumental from GZA’s “Publicity” scored one of the most iconic parts to be released in its era. Following up on its project with Nas last year, Supreme delivers another heavyweight hip hop collaboration in 2018. This first peek follows GZA into a park where he explains the connection between chess and his music. Have a look below. We’ll update when more details about this release are available. UPDATE 9.18.18: Supreme released the image of its collaboration with GZA. 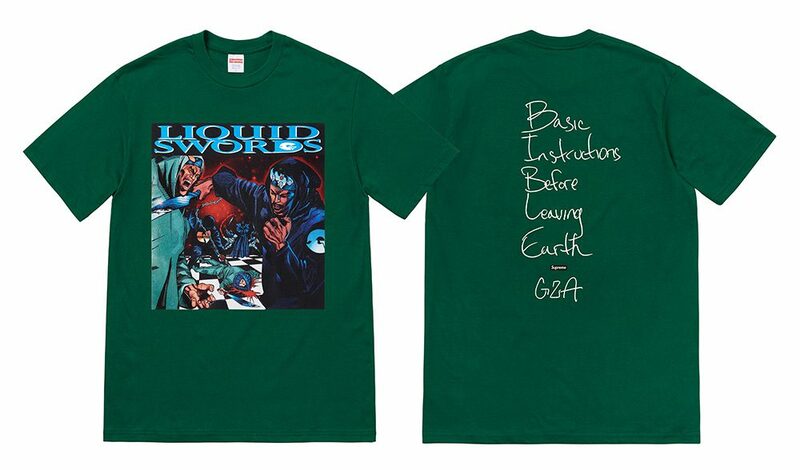 The Liquid Swords shirt will be available on Thursday along with the rest of Supreme’s Fall ’18 t-shirt drop.